During this spooky time of year, you never know what could go bump in the night. This year, Folkmoot’s annual Spookmoot celebration will feature folklore characters from around the globe. One legend goes that long ago in the mountains of Western North Carolina dwelled a terrifying creature who could take on any shape she desired. The natives called her U’tlun’ta, which translates to Spearfinger, because she used her long, stony forefinger to nab and then stab her victims. U’tlun’ta hunted children and feed on their livers. Spearfinger was most dangerous in autumn because she could stay hidden in the smoke from the bonfires. She would disguise herself as a grandmother, a child, or a friend. Though her finger was deadly, it was her deception that was her true weapon. After many children had fallen victim to the evil U’tlun’ta, the people agreed that she had to be stopped, and a grand council meeting was called. Since Spearfinger had flesh as stern as stone and no weapon known to man could penetrate her skin, the council knew the only way to stop her was with a trap. A pit was dug and covered in brush, making it invisible to the monster. A bonfire was lit and Spearfinger strolled into the village, drawn to the smoke. The villagers provoked her to chase them as they led her straight into the pit. Once U’tlun’ta was trapped, they tried to kill her with arrows and spears but nothing would work on her skin of stone. Just then, a chickadee flew to the monster’s hand. It was here where her heart was located, the only place U’tlun’ta was vulnerable. The people aimed their weapons at her hand and shot, watching as Spearfinger sank to the ground, dead at last. Today the Cherokee honor the chickadee, calling it “tsi kilili,” or truth-teller. Thanks to the help of the chickadee, Spearfinger no longer harms the children, but sometimes on a dark night in October in the hills of Western North Carolina, a shriek can be heard and it makes one wonder if there are more like her waiting to get their revenge. So, are creatures like U’tlun’ta real? You’ll have to decide for yourself. 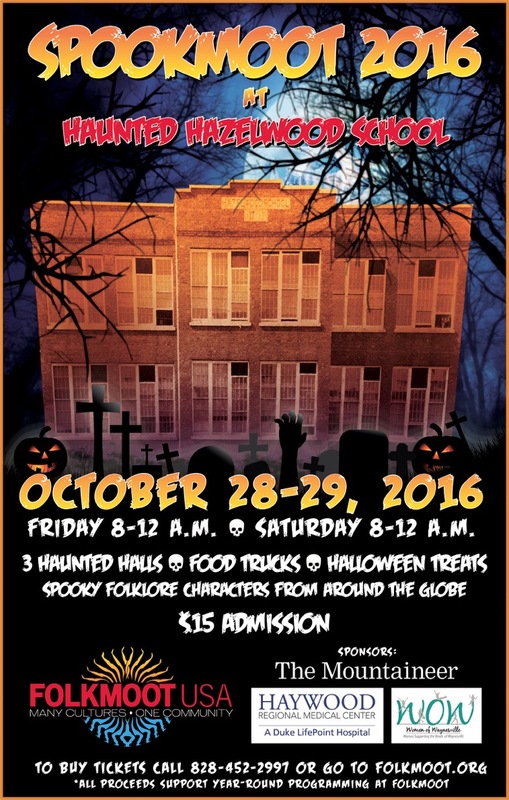 Come to Folkmoot Friendship Center on October 28 and 29 from 8:00 p.m. – midnight to see the goblins for yourself.